Inequality is growing at an alarming pace in Latin America, posing a serious risk to the fight against poverty. This article was originally published ahead of January's World Economic Forum Annual Meeting in Davos. Global leaders will meet at the Annual Meeting in Davos this week to discuss how to improve the state of the world and address its most pressing challenges. There is much to talk about - not least the global inequality crisis, which has come to the fore in recent years in the wake of the economic and financial crisis of 2008-2009. Inequality is growing at an alarming pace and poses a serious risk to economic growth, the fight against poverty and social stability. For evidence of the destructive impact that extreme inequality has on sustainable patterns of growth and social cohesion, we need look no further than Latin America and the Caribbean. Although the region achieved considerable success in reducing extreme poverty over the last decade, its still-high levels of income and wealth inequality have stymied sustainable growth and social inclusion. In Latin America and the Caribbean, inequality is preventing a return to an inclusive growth trajectory in the face of daunting external conditions. The Economic Commission for Latin America and the Caribbean (ECLAC) projects the region’s growth to be 0.2% for 2016. 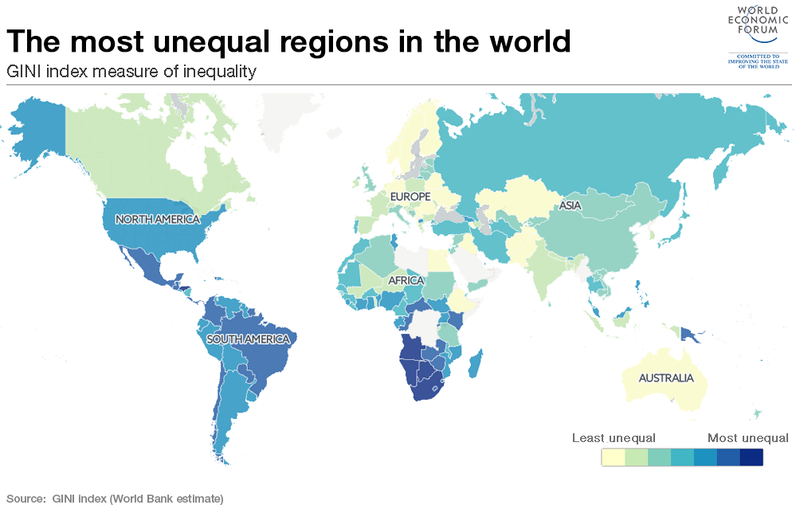 Although income inequality has fallen in recent years, Latin America remains the most unequal region in the world. In 2014 the richest 10% of people in Latin America had amassed 71% of the region’s wealth. If this trend continues, according to Oxfam’s calculations, in just six years’ time the richest 1% in the region will have accumulated more wealth than the remaining 99%. From 2002 to 2015, the fortunes of Latin America’s billionaires grew by an average of 21% per year - an increase that Oxfam estimates is six times greater than the growth of the whole region’s GDP. Much of this wealth is held offshore in tax havens, which means that a sizeable portion of the benefits of Latin America’s growth are being captured by a small number of very wealthy individuals, at the expense of the poor and the middle class. This extreme income concentration and inequality is also confirmed by analysis of the tax data available on personal income in selected countries of the region. Safeguarding the advances the continent has already achieved and ensuring inclusive and sustainable growth must be a priority for all the countries in the region. 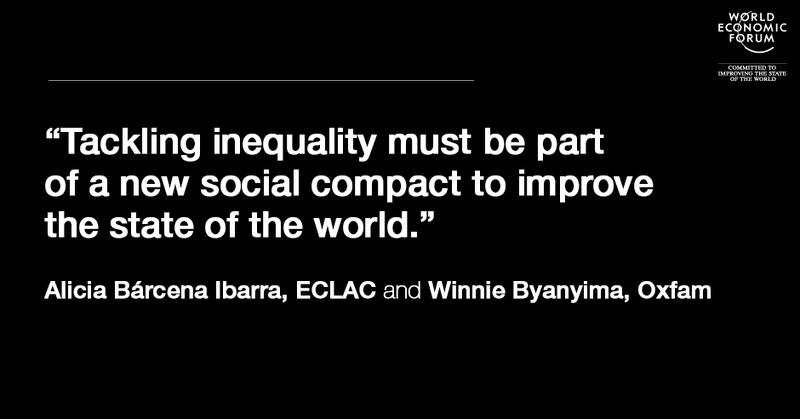 That is why ECLAC and Oxfam are committed to working together in order to promote and build a new consensus against inequality. There is no silver bullet, but there are measures which can be taken, which together can make a big difference - and tax reform is a good place to start. Poorly designed tax systems, tax evasion and tax avoidance are costing Latin America billions of dollars in unpaid tax revenues - revenues which could and should be invested in tackling poverty and inequality. Additional revenues are key for public investment in reducing some of the region’s historical gaps such as its highly segregated access to quality public goods in education, health, transport and infrastructure. Many countries’ tax systems depend heavily on consumption taxes that place the burden on low- and middle-income groups. In addition, the region’s tax systems tend to be biased towards labour income instead of capital gains and usually lack any property and inheritance tax, thus increasing wealth concentration, which is even greater than income concentration. Revenues from personal income tax are relatively low, particularly from the highest-income groups. ECLAC calculates that the average effective tax rate for the richest 10% amounts to only 5% of their disposable income. As a result, the tax systems of Latin America are six times less effective than European systems at redistributing wealth and reducing inequality. Governments are also letting multinational companies off the hook when it comes to taxes, thanks to overly generous discounts on income tax rates in many countries across the region. By some calculations, the effective tax burden for multinational companies is half that of domestic firms. Adding to this are the appalling rates of tax avoidance and evasion on the continent, with corporate income tax losses ranging from an estimated 27% of potential corporate income tax revenues in Brazil to roughly 65% in Costa Rica and Ecuador. ECLAC estimates that evasion and avoidance of personal and corporate income tax cost Latin America more than $190 billion, or 4% of GDP, in 2014. An archaic and dysfunctional international tax system also provides wealthy companies and individuals with ample scope and opportunity to avoid paying their fair share of taxes. With the critical loss of revenues from commodities and many countries’ economies now stagnating, the people of Latin America simply cannot afford for such a large proportion of the continent’s income and wealth to go untaxed. Ensuring everyone pays their fair share of taxes according to their means is absolutely essential if we are to finance sustainable and inclusive growth, not just in Latin America but across the world. In order to meet the Sustainable Development Goals, all governments will have to take concerted and coordinated action to build a tax system fit for the 21st Century. Governments must put in place more progressive tax systems at home, and they must strengthen global and regional cooperation to reduce harmful tax competition between countries and prevent the “race to the bottom”. The countries of Latin America and the Caribbean could also strengthen property tax schemes or reintroduce inheritance tax. All nations must also work together, under the auspices of the United Nations, to overhaul the international tax system so that multinational companies and rich individuals can no longer exploit tax loopholes or hide their wealth in tax havens to avoid paying their fair share of tax. So what can the political leaders and decision makers from the private sector and civil society take from the Latin American experience as they head to Davos? The lesson is that tackling inequality must be part of a new social compact to improve the state of the world, and building a fairer tax system must be part of any plan to tackle inequality and boost inclusive growth. Authors: Alicia Bárcena Ibarra, Executive Secretary of the Economic Commission for Latin America and the Caribbean (ECLAC) and Winnie Byanyima, Executive Director of Oxfam International. They are both participating in the World Economic Forum’s Annual Meeting in Davos.